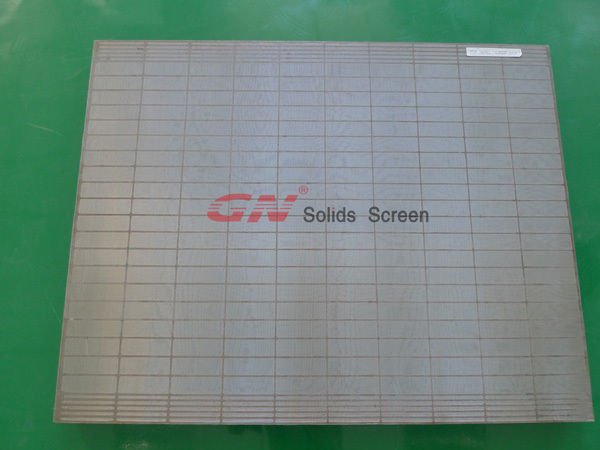 GN Solids America supply replacement screens for all Brandt shakers, including the Cobra, VSM and LCM Series shakers. The most popular Brandt shaker is King-cobra and VSM300. All cobra series shaker and LCM series shaker have the same shaker screen specification. It is made under 3 different screen engineering technology, with 2 different combinations; then we get 6 different choices with different part number. King cobra shaker has 4 screens, each one diamention is: 49.25 in x 25 in x 1 in(1251 mm x 635 mm x 25.4 mm), total screen area is 33.4ft2 (3.1m2) . Both VSM300 shaker and VSM multi size shaker need VSM series shaker screens. VSM 300 have 3pcs scalping screens, 4pcs primary screens, 2pcs optional drying screens. VSM multi-size has 1 scalping deck and 2 primary decks which are outfitted to operate in "In-Series" or "In-Parallel" mode. Scalping screens size is: 37in x 26 5/8 in x 1.5in; primary size 35in x 27in x 1.5in. All Brandt OEM shaker screens are pretensioned type screens, including the VNM, PXL, RHD, XF, TM and TBC so on, many different wiring technology. The VNM series shale shaker screens are designed to fit all Cobra and LCM series shale shakers. Premium X-tended Life (PXL) series shale shaker screens have been innovatively designed, then have cleaner cuts than the traditional sanwich screen design. The Rectangular Heavy Duty (RHD) line of screens utilizes two layers of heavy duty rectangular mesh and one layer of coarse mesh to produce a durable and effective screening media. Screens part number for Cobra and LCM shakers. Note: Part number identifying different screen engineering design with different combination. (mesh) will be replaced by mesh number, such as 075, 120 and so on. Screens part number for VSM300 & VSM100 shakers. Replacement screens for Brandt shale shakers combine proven mesh combinations with diamond plate to improve separation efficiency of the shaker, in the meanwhile extend screen life. These screens are engineered to meet the exact design specifications of the Brandt’s shale shaker and can be installed directly on the unit using the block wedges. 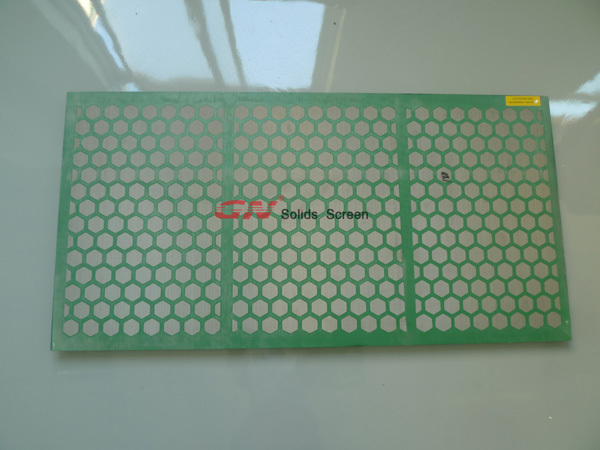 Replacement screens are available in a various of mesh combinations to best suit the request of the drilling application.